Last month, when we looked at the future of mobile technologies from an academic's perspective, one of the predictions that stood out was that phone companies looking to encourage mobile micropayments using their handsets would be well advised to team up with a solid financial institution first. Today, we hear from Japan that the second largest operator there, KDDI, has received a licence to create its own online bank together with the established Bank of Tokyo-Mitsubishi UFJ. If it succeeds, Jibun Bank, which means 'Self' or 'Me' bank, will play a large part in encouraging KDDI phone customers to start using the e-cash facilities in their handsets. Company CEO Tadashi Onodera said, "Our objective is to make KDDI phones the most convenient cellphones on the market and the safest way to transfer money." Although KDDI isn't the first electronics vendor to start a bank, its clear intention to fold financial services into its phones is novel. 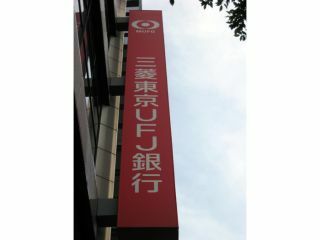 Market leader NTT DoCoMo has financial arms, but has yet to offer a full-fledged banking service.